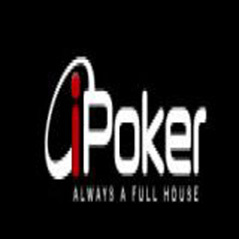 Tomas Mitell has won the iPoker network's first major foray into the live tournament arena. The Swede pocketed just over $90,000 after winning the iPOPS #4 event in Prague last week. Mitell, playing at Expekt Poker, outlasted 3,383 players in the online element of the tournament before defeating 26 other finalists in a special live event in Prague. The Swedish player sealed the win after fours hours of heads up against France's Veronique Gourard hitting an ace on the river with his AK to beat the Boyle Poker player's pocket jacks. Gourard collected $55,000 for her runner up finish. Prague was also the venue for the €770 iPOPS live event which was won by Dutchman Robin van den Heuvel who pocketed €17,388 after agreeing a chop with Russian Igor Arkhipov. “We would like to congratulate the winners of iPOPS Live and to thank everyone who participated," said Asaf Younger, the iPoker network manager. "The event and the location met all of our expectations and we hope to follow up with an even bigger line up of live tournaments next year."